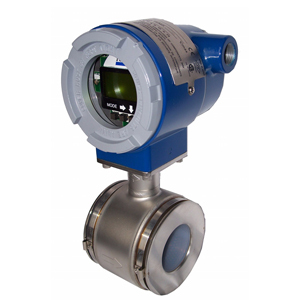 The Foxboro® brand MAG2 Series Flowmeters are high performance, intelligent Magnetic Flowmeters based on field proven two-wire, loop powered technology. They offer the stable and accurate measurement of a traditional magnetic flowmeter with low power consumption, resulting in a lower overall cost of ownership. The flowmeters are provided in an integrally mounted transmitter configuration, or with a remote transmitter and flowtube with an interconnecting cable.